There’s a lot of buzz around cannabis these days. Just about everyone in modern society has heard about the plant. Some smoke it. Some fight against it. Others mind their own business, unaware of why cannabis is such a hot topic. When most people hear the word “cannabis,” their mind instantly jumps to marijuana. Marijuana is the strain of cannabis that some smoke to get that out-of-body euphoric “high” feeling. Many people fight against marijuana’s use because of its psychoactive properties and potentially negative side effects. This is why it is illegal in most states. 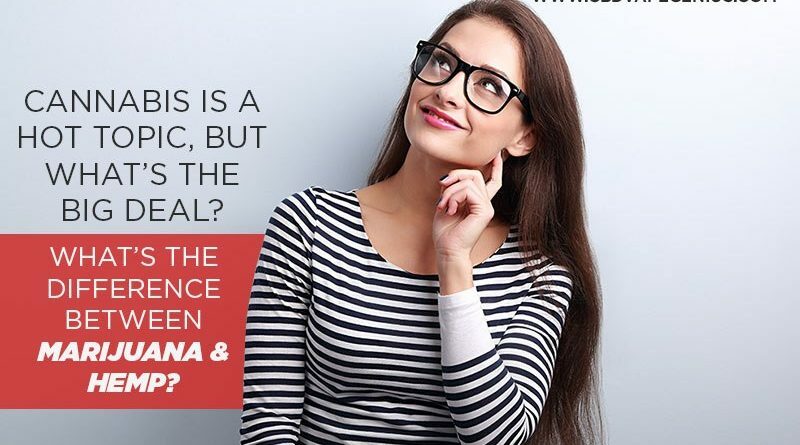 However, marijuana is only one strain of cannabis. The other is a plant called hemp. Hemp has traditionally been grown for its seeds or fiber. What many people don’t realize, though, is that hemp offers a plethora of other benefits and has been linked to a long list of healing properties. What Gives Cannabis Its Healing Properties? Hemp and Marijuana both have different effects on the body and mind. Some of these effects are positive, and some can be negative. But how exactly do they do this? How are cannabis plants able to interact with the body and alter its inner mechanisms? During development cannabis plants produce compounds known as cannabinoids. These compounds are primarily produced during the plant’s budding phase. Some are produced in high concentrations early on, while others become more prominent at maturity. Because of this, cannabis farmers tend to harvest their crop between 6 and 8 weeks into the budding cycle – depending on what cannabinoids they are are after. Around 100 different cannabinoids have been discovered, and all interact with the body in a certain way. Of those, only about 5 are of particular interest – CBD, THC, CBG, CBN, and CBC. These 5 are produced in the highest concentrations and have the most profound effect on the human body. When cannabinoids enter the body, they interact with the endocannabinoid system. The endocannabinoid system was discovered in the late 1900s after scientists began studying how cannabis interacts with the body. Although our knowledge of the system is relatively new, scientists believe it is one of our most important regulatory systems. The endocannabinoid system is made up of two sets of receptors – CB1 receptors and CB2 receptors. CB1 receptors are primarily associated with the central nervous system and a few major organs. CB2 receptors have more to do with the immune system and other peripheral organs. Our bodies naturally produce cannabinoids called endogenous cannabinoids that bind to these receptors. These endogenous cannabinoids help the endocannabinoid system maintain homeostasis to keep the body healthy and well-balanced. Cannabinoids produced by cannabis plants are often referred to as phytocannabinoids. Phytocannabinoids interact with the endocannabinoid system in much the same way that endogenous cannabinoids do. In fact, they actually mimic the endogenous cannabinoids that our bodies produce so they can bind to CB1 and CB2 receptors. When cannabis-produced cannabinoids interact with the endocannabinoid system, they change the way the body functions on a very basic level. This is usually a positive thing. For instance, cannabinoids have been shown to reduce pain and inflammation, fight against certain types of cancer, help those who suffer from arthritis and decrease the symptoms of serious mood disorders, among other things. 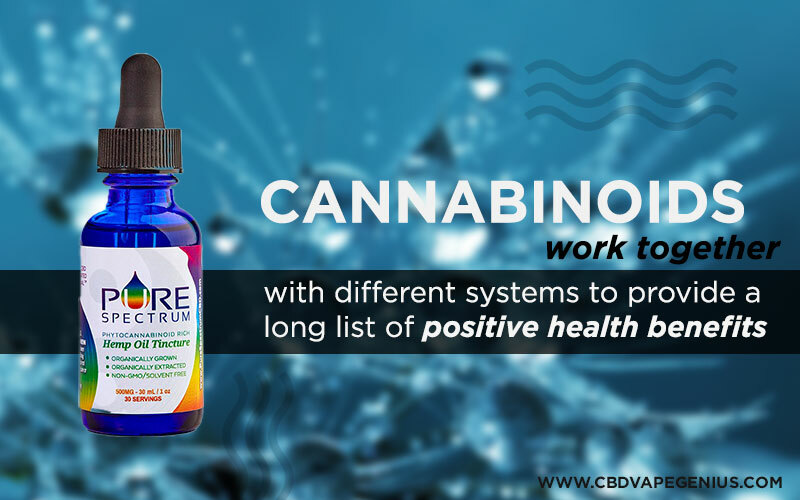 Because of all of the positive attributes that cannabinoids have, scientists have begun doing research into their effectiveness in treating dozens of serious illnesses and conditions. 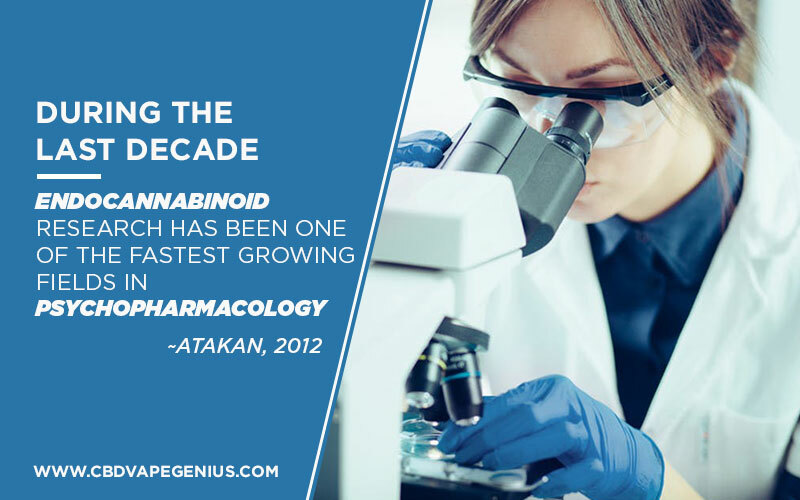 “During the last decade, endocannabinoid research has been one of the fastest growing fields in psychopharmacology, opening ways to discover new medicines for a wide variety of health problems, ranging from metabolic disorders to glaucoma and schizophrenia,” this article states. Although there are at least 100 different cannabinoids in existence, there are 5 in particular that you should be familiar with. These 5 are produced in the highest concentrations and have the most prominent effects and health benefits when they interact with the body. The big 5 include CBD, THC, CBG, CBN, and CBC. Let’s start out with the most famous cannabinoid – THC. Tetrahydrocannabinol, or THC for short, is the most widely known cannabinoid. This is because it is the compound that produces the euphoric “high” that marijuana users experience. It does this by interacting with neural CB1 reactors to affect the mind. Marijuana has been used both medicinally and recreationally for thousands of years, but due to its psychoactive effects, its use was made illegal in the United States in the early 1900s. THC is produced in the highest concentration by marijuana plants. Around 10-20% of the cannabinoid compounds marijuana produces is THC. While hemp produces some THC as well, it is only present in an extremely small amount – usually less than .5%. THC has a few positive health benefits when ingested. For instance, it has been shown to positively stimulate the appetite, relieve pain and help with relaxation. However, THC can also cause a few negative side effects as well. In some cases, THC can increase levels of anxiety and negatively affect fertility rates and memory – especially when used by youth. Marijuana has been made legal in a few states for recreational purposes and is legal in a few others for medicinal purposes. There seems to be a domino effect happening among states in regard to marijuana laws, but full legalization will likely be years, if not decades away. Because of marijuana’s illegality and THC’s potential side effects, most people seeking medicinal relief choose to turn to other cannabinoids. The top cannabinoid for medicinal relief is cannabidiol or CBD. CBD is primarily produced by the hemp plant. In fact, CBD makes up more than 40% of the cannabinoid compounds that hemp produces. Unlike its cousin THC, CBD has no psychoactive effects and little to no known side effects. In fact, CBD has actually been found to counteract the psychoactive effects of THC. 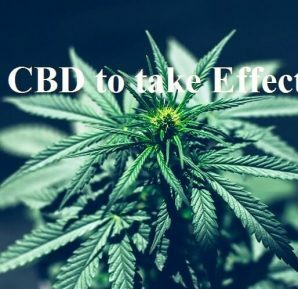 Rather than interacting with the endocannabinoid system to affect the mind, CBD works with CB1 and CB2 receptors to help the body maintain balance. CBD has an incredibly long list of health properties. It has been shown to calm anxiety, reduce levels of pain and inflammation, reduce the symptoms of depression, fight against cancer, reduce nausea and vomiting and protect the brain, among a number of other things. 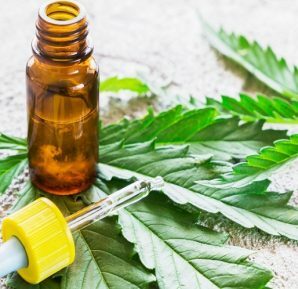 Because of its healing properties, CBD is currently being researched as a potential treatment for several different illnesses, including arthritis, mood disorders, cancer, concussions, and chronic pain. When CBD was first discovered, it was wrongly believed to be a culprit in marijuana’s psychoactive properties. This led to hemp being made illegal alongside marijuana in the early 1900s. Many people fought back against this legislation because, at the time, hemp was primarily grown for fiber. 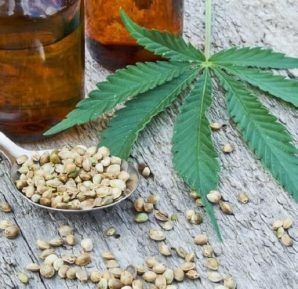 After researchers looked more into hemp’s compounds and the healing properties of CBD, they realized that there was no need for the plant to be illegal. Eventually, the law was overturned and hemp and its various products were made legal again. CBG is what most researchers consider the mother cannabinoid. During the cannabis’ budding cycle, it produces high concentrations of CBGA. That compound is then later broken down into THC, CBD, and CBG. CBG doesn’t have any psychoactive properties and is highly sought after for its potential cancer-fighting properties. In fact, when scientists tested all five main cannabinoids to see which fought against cancer the best, CBG was found to be the most effective. On top of its cancer-fighting power, CBG has also been shown to promote bone growth, act as an anti-inflammatory and slow bacterial growth. The compound is typically found in very small concentrations by the time the plant is harvested. While CBD makes up 40% of hemp-produced cannabinoids, CBG only makes up 1% or less. Because CBG is so highly sought after, some cannabis farmers have begun cross-breeding different strains in an attempt to develop a plant with higher concentrations of the compound. Since CBG is produced much earlier on in the budding stage than other cannabinoids, farmers have also discovered that they can harvest the plant earlier in order to obtain a higher yield of CBG. Like the previous two cannabinoids, cannabinol, or CBN, is another helpful cannabis compound. What makes CBN so special is the way it develops. As cannabis plants age and THC begins to oxidize, CBN begins to form. However, although CBN comes from THC, it doesn’t have any psychoactive effects. Because CBN is only present in older, aged plants, many people tend to steer away from it. However, CBN actually provides a lot of great health benefits – especially in regard to sleep. CBN works wonders for those trying to get a better night’s sleep. Just a few milligrams of CBN can provide the same sedative effect as a prescription medicine. When it interacts with the endocannabinoid system, it also works to relax the muscles and decrease muscle spasms. Because of this, CBN works perfectly for those who suffer from sleep disorders such as insomnia, sleep apnea, and sleep-related movement disorders. The last of the main five cannabinoids – CBC – is one of the most prominent. CBC, also called cannabichromene, is produced in much higher quantities than its cousins CBG and CBN. Like the others, it doesn’t produce a “high” as THC does. Interestingly, CBC doesn’t interact well with the endocannabinoid system. Unlike THC and some of the other cannabinoids, it isn’t able to bind well to the CB1 and CB2 receptors. Instead, it responds to receptors in other parts of the body to do its work. CBC is especially good at relieving pain and inflammation. This is because of the way it interacts with vanilloid pain receptors. When CBC comes into contact with pain receptors, it significantly reduces the levels of discomfort felt from both chronic and acute pain. CBC has also been shown to promote positive brain and kidney health and to have cancer-fighting properties like CBG. How Are Cannabinoids Taken and Why is CBD the Most Popular? When cannabinoids are extracted from the hemp plant, they are typically concentrated into an oil. This oil is then mixed with other compounds to make products such as vape additives, tinctures, capsules, edibles, and topical ointments. Because of the high levels, it is produced in, as well as its wide range of health benefits, CBD is the most popular cannabinoid for medical use. Sometimes hemp products are made with special mixtures of other cannabinoids for specific purposes – such as pain relief or sleep aid. Because of this, it is important to check and see what cannabinoids are included in each product. Vape additives offer the highest rate of absorbability. When CBD is vaped, it is taken in through the lungs and is absorbed into the bloodstream. Vapes take effect almost immediately and allow up to 40% of the compound to be absorbed. Tinctures are the most popular product among those with chronic illnesses. They take effect very quickly and also offer a high level of absorption. They are most effective when taken sublingually – under the tongue, but they can also be mixed into teas and coffees. Edibles and capsules take longer to take effect because they have to be broken down in the digestive system before being absorbed into the bloodstream. However, although they take longer to start working, their effects are longer-lasting. CBD and other cannabinoids can also be taken with a topical ointment. When CBD oil is mixed into a salve, lotion or cream, it soaks into the skin to interact with surface endocannabinoid receptors. These ointments are especially effective for those seeking targeted relief. 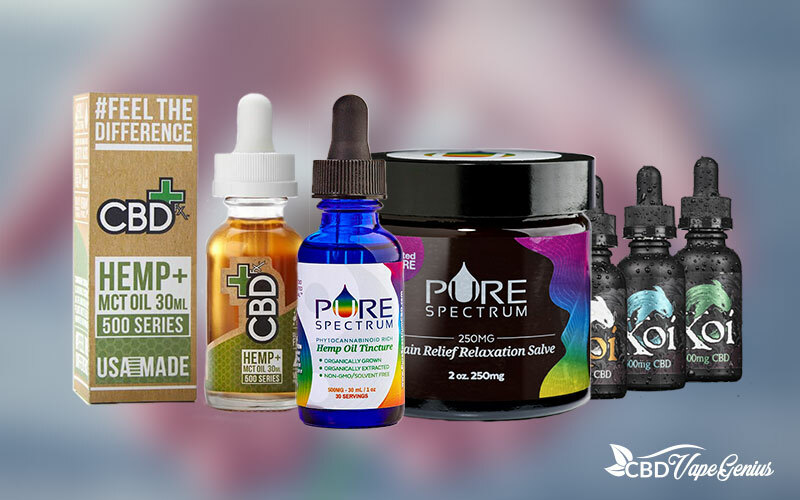 Click here for a full list of CBD products. Each year more and more studies are being done on the effects of cannabinoids and how they can help heal and balance the body. Research has ranged from independent studies to case studies, to clinical trials. THC is the primary cannabinoid that receives negative press because of its mind-altering properties and potentially negative side-effects. Other cannabinoids, however, such as CBD, CBG, CBN, and CBC have all been studied in great detail over the past several decades and all have been linked to significant health benefits. 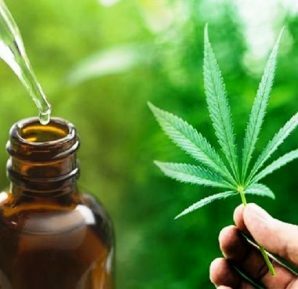 Since the law banning hemp production was overturned, more and more companies are beginning to produce CBD-rich products. For further study, a list of peer-reviewed articles and scientific studies have been cited below.